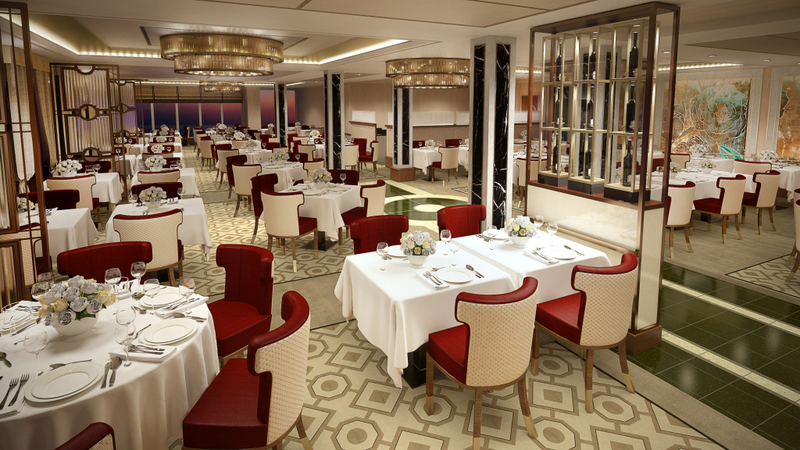 Cunard has revealed its plans for the upgrades planned for the Queens and Princess Grill suites and restaurants on Queen Mary 2 when she enters dry-dock in 2016. Cunard’s iconic flagship will stay true to her classic art deco heritage, while offering updated, crisp, contemporary interiors re-designed for today’s travellers. The Cunard Grills experience affords guests the highest standards of comfort at sea with large, well-appointed suites, all with prime locations and private balconies. 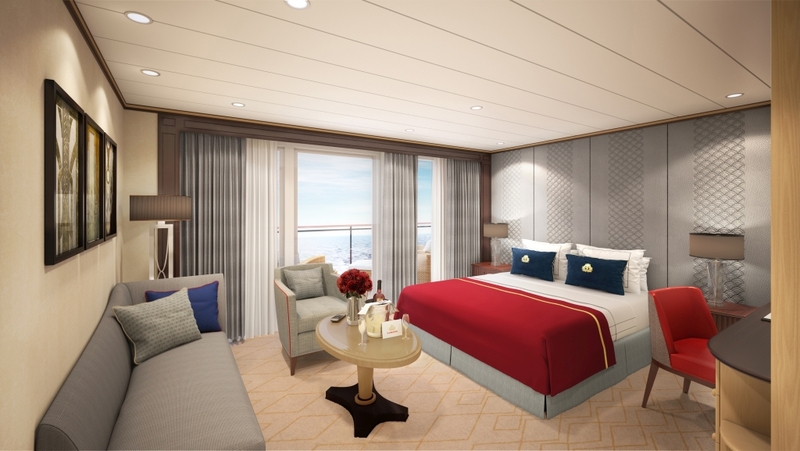 All 172 Grills suites on the Queen Mary 2 will receive a comprehensive restyling and each will be reconfigured to maximise space. Muted tones and elegant textures with subtle references to Cunard’s history will pair with new bespoke luxury carpet throughout featuring design work inspired by rugs from the original Queen Mary. The Grills dining experience will also be upgraded and the two Grill restaurants will both be reconfigured to offer more sought after tables for two, increased space between the tables, additional loose tables to offer more flexibility and an improved ambiance. 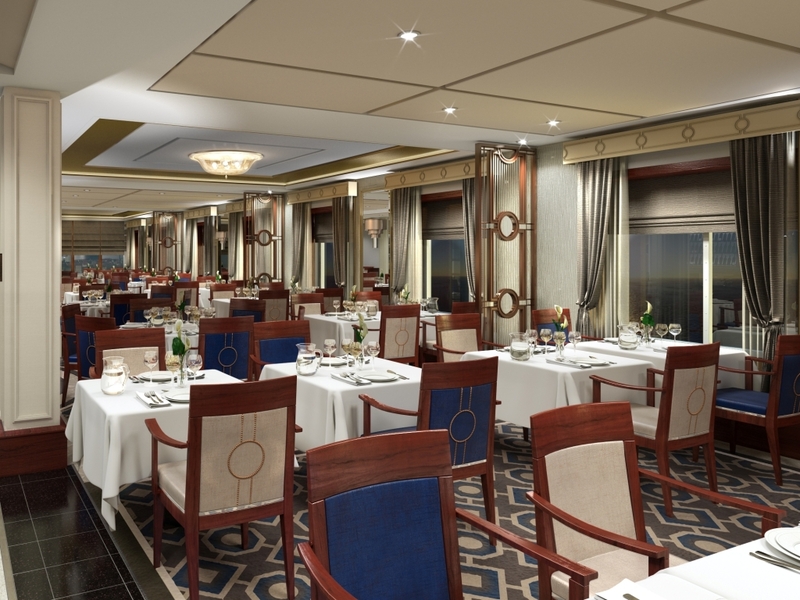 The décor and furnishings will be redesigned to offer beautiful and elegant dining rooms that will compliment the menus and White Star service. This project has been given the moniker, ‘Queen Mary 2 Remastered,’ and further innovations and enhancements will be announced in the coming months. Queen Mary 2 will spend 25 days at the Blohm+Voss shipyard in Hamburg between May and June 2016.